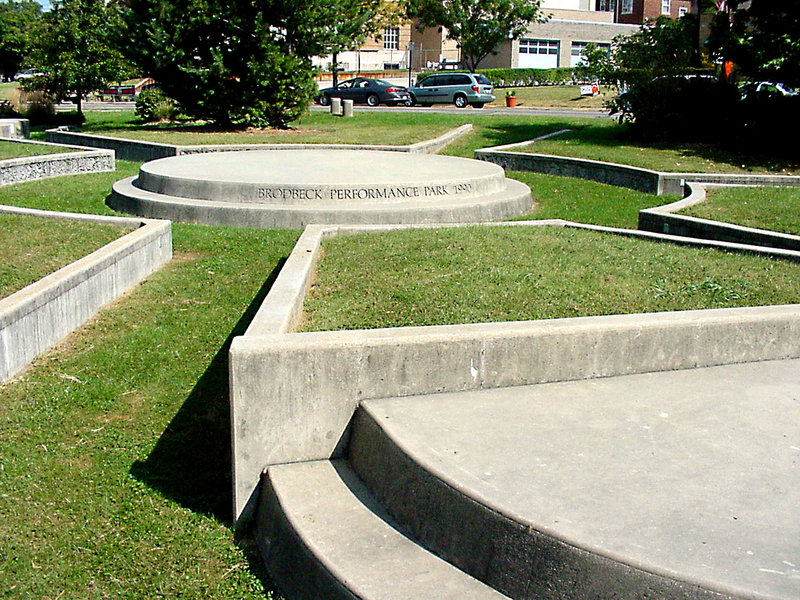 The City of Westwood, Ohio held a competition for a public performance area in the center of town. 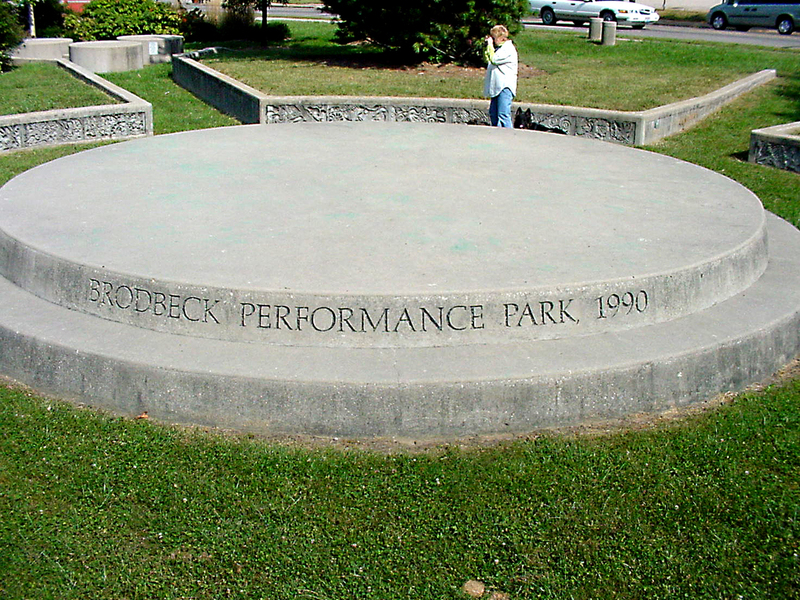 It was to honor Robert J. Brodbeck who died in 1987. 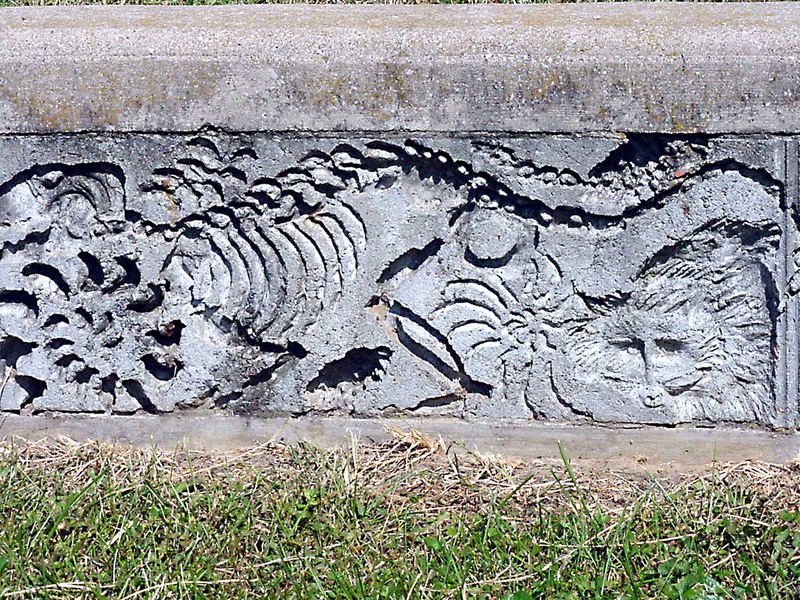 Brodbeck was a long time Westwood volunteer and activist. 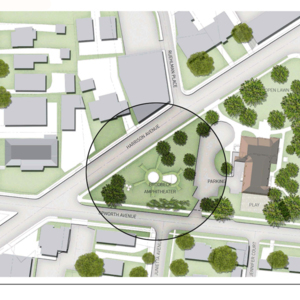 A one-quarter acre site was made available for that purpose. 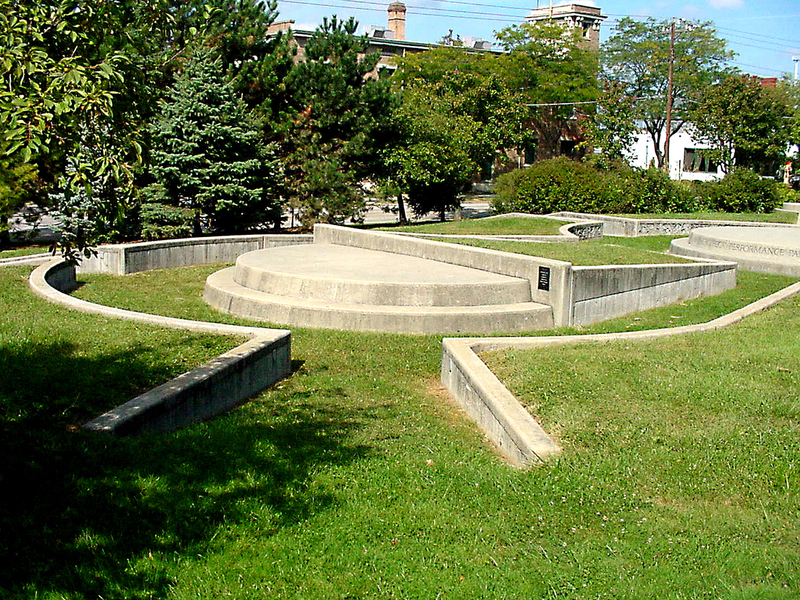 Landscaping and a sculpture were to be designed to allow for various outdoor public performances and activities. 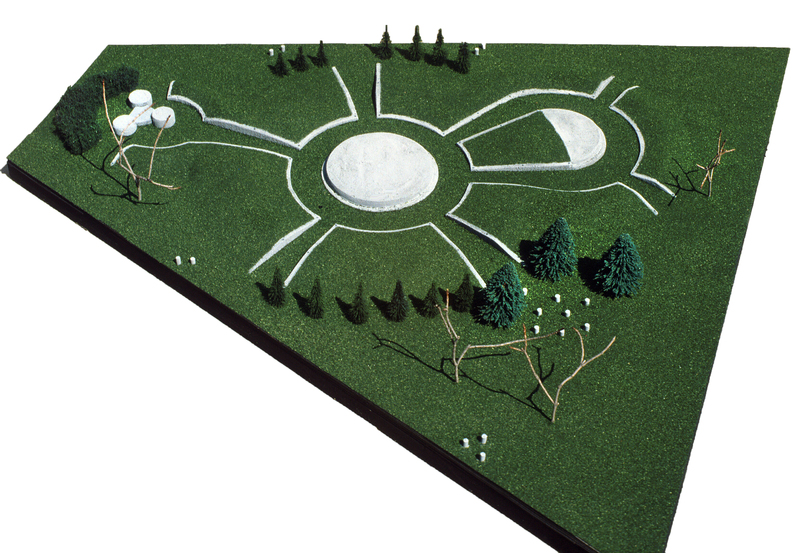 Artist Gene Kangas was selected to design the environment, which consisted of sod-covered earth mounds, trees and cast cement walls and stages. 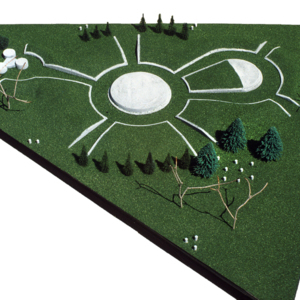 An ancient Native American "mound builders" concept was developed that related to Southwestern Ohio’s historic and prehistoric past. 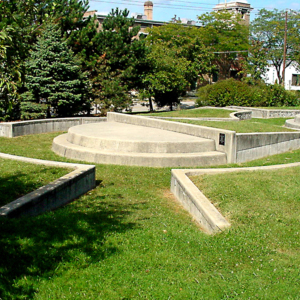 The mounds formed the basis for a flexible contemporary, multi-stage, multi-purpose and relatively maintenance free environment. 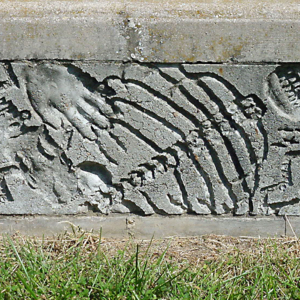 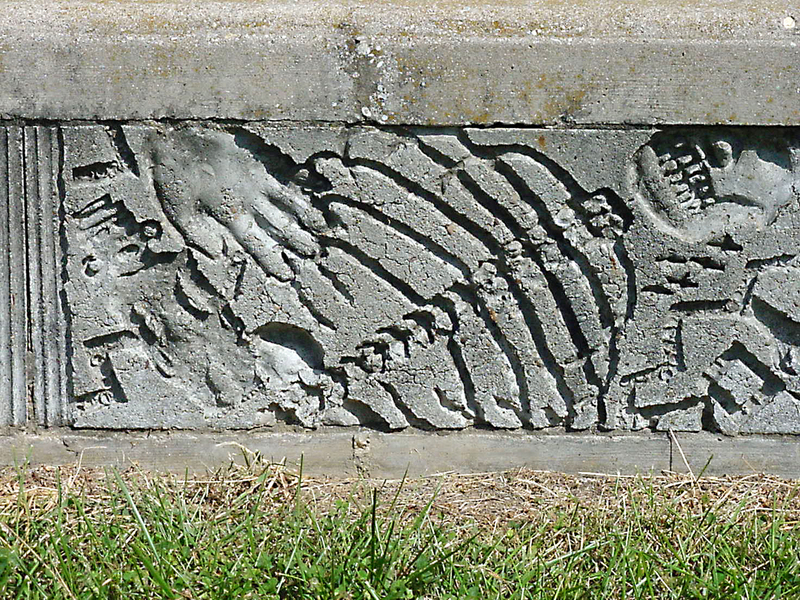 In addition to the cement and earth mounds, fossil symbols, animal images and tracks appeared in surrounding cast cement pictographs. 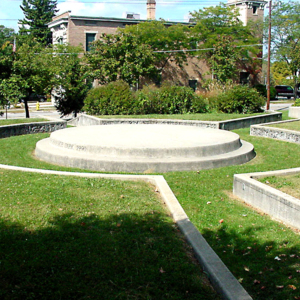 Three circular stages of graduated sizes formed focal points within interlocking circles. 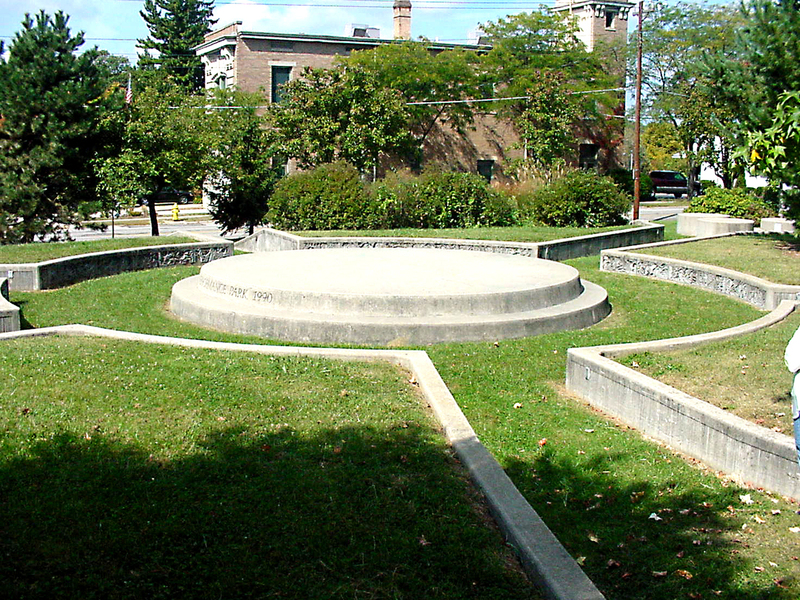 Each raised stage was encircled by an elevated grass covered earth mound, creating a visitor’s "theater-in-the-round." 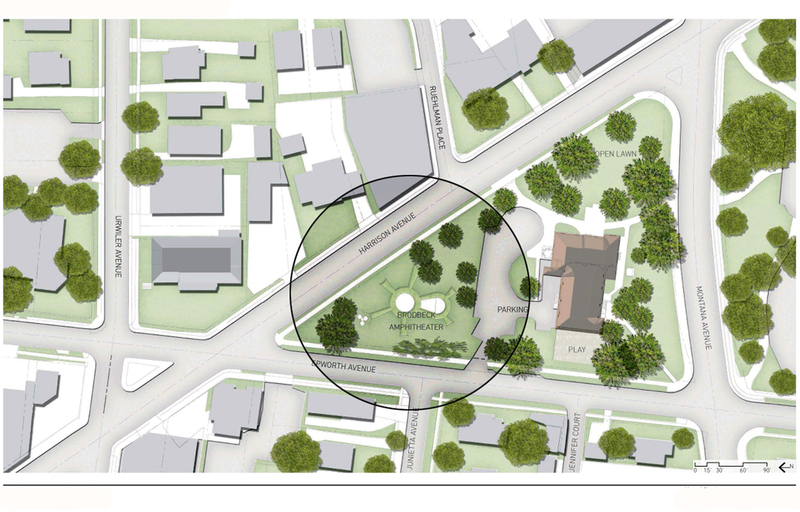 Current plans in 2018 are to redevelop the site into a larger public area. 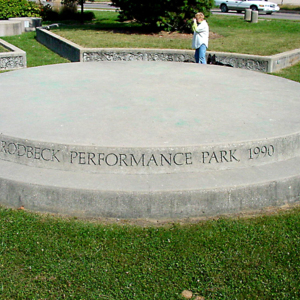 Therefore, the public performance park honoring Robert Brodbeck will no longer exist. 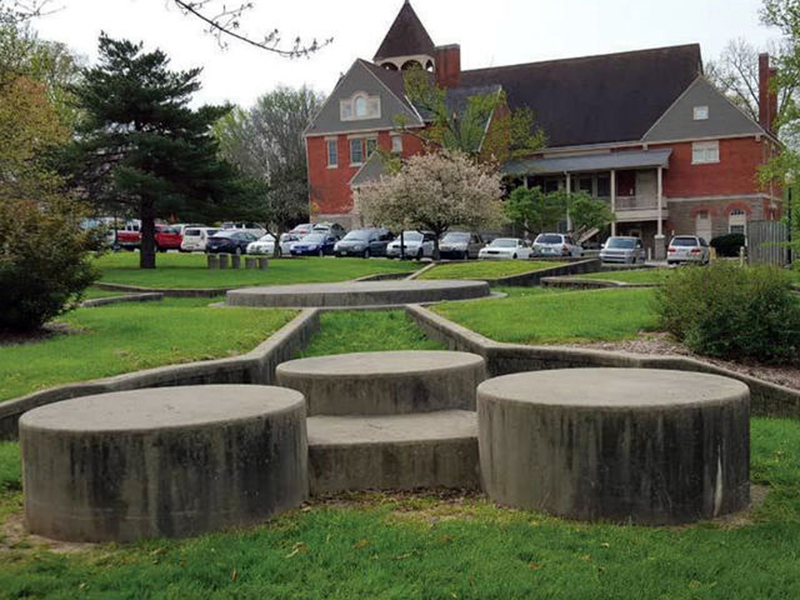 Politics change. 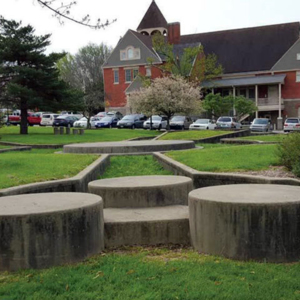 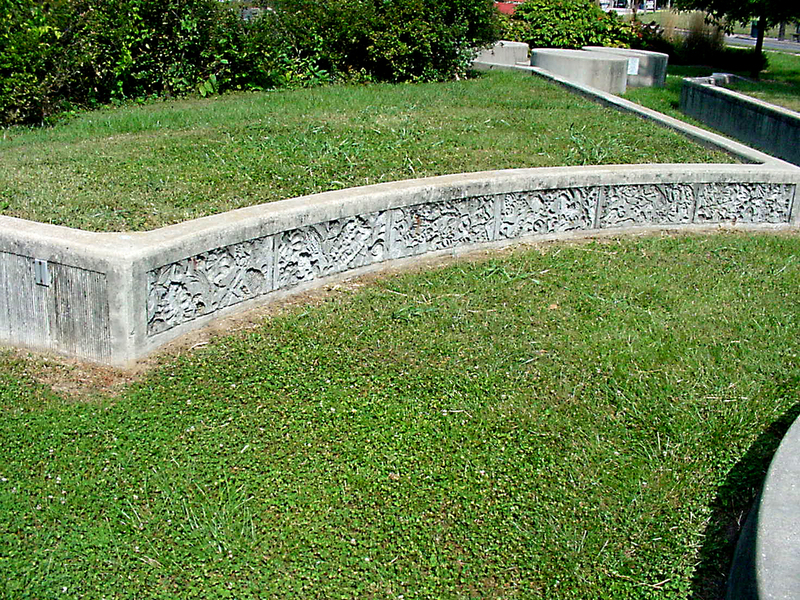 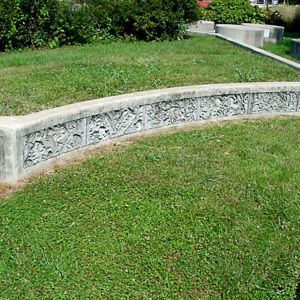 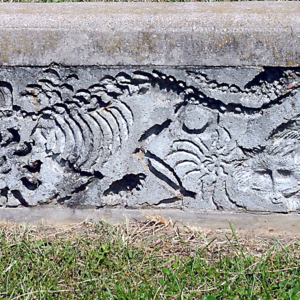 Location: In front of the Westwood Town Hall, 3017 Harrison Ave.
: Gene Kangas, “Brodbeck Performance Park,” Ohio Outdoor Sculpture Inventory, accessed April 18, 2019, http://oosi.sculpturecenter.org/items/show/1556.